What is your biggest fear? Statistically, the most common fears in America include spiders, confined spaces, and heights. While these might all be tangible things, a common fear that most people refuse to admit to having is the fear of change. 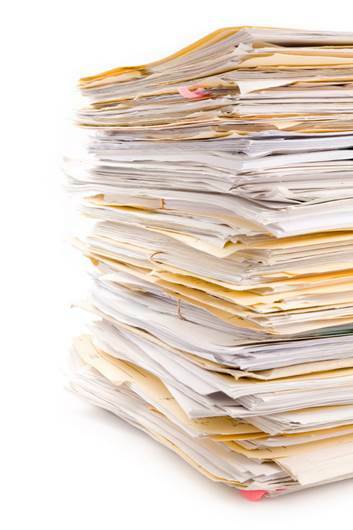 Although there’s increasing pressure from government regulations to adopt EHR software, many practices still think that paper practices are the way to go. If you are still running a paper practice, you might be reluctant to switch to an EHR simply because you are so used to the current processes in place, you are afraid to change things up. However, did you know that you could be causing your practice’s revenue by coding inaccurately and not providing the best possible care for your patients? Do You Fear Getting a New EHR Software? You probably already have a smart phone and use computers daily. So why not start using technology in your practice? We've got a list of ways a certified EHR system is going to help your practice. EHRs reduce the risk of medical errors and increase the accuracy of your diagnoses with the help of the clinical decision support tool that comes with most EHRs. It notifies you of implausible values and ensures that the errors are corrected before you complete the exam. Certified EHRs improve care coordination within the healthcare industry by allowing you to exchange information with doctors from other practices. And if your EHR has a patient portal, you’ll be engaging your patients with information about their health by sending them their assessment, treatment options, and educational material online. With an EHR, you won’t have to rely on separate processes to complete your workflow. Instead of calling in your prescriptions, faxing in your orders, and filing your claims through separate websites, you can complete all these tasks within your EHR, streamlining your workflow. Starting 2015, if you do not participate in Meaningful Use, your practice will be penalized! Starting at a 1% deduction from your Medicare reimbursements, these penalties compound every year that you don’t participate, up to 5%. The first step to participation is getting a certified EHR. So on top of all the benefits you will experience by switching to an EHR, you will also be compliant with government regulations. If you are not interested in the Meaningful Use Program, other organizations such as ACOs (Accountable Care Organizations) or PCMH (Patient Centered Medical Homes) also offer incentives and benefits for members who participate in their programs with certified EHRs. The fear of change should not hinder your practice from achieving more efficiency, improving patient care, and increasing your practice’s revenue! These benefits far outweigh the disadvantages. We’re living in the age of technology where 78% of physicians are using an EHR system. Join your peers and see why they made the switch from a paper practice to an EHR software! Think you've got the courage to make the switch? Check out VisionWeb's cloud-based practice management and EHR software!